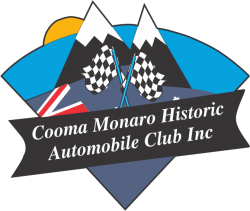 Cooma Monaro Historic Automobile Club, in conjunction with CAMS (Confederation of Australian Motor Sports) will be conducting a Junior Development Program consisting of a Motorkhana and Hillclimb. Eligible participants will be juniors (14 to 17 years) who have not previously held a CAMS licence, and are interested in learning car control in a controlled and safe environment with a possible view to entering motorsport at a grass roots level. The initial day will be a Motorkhana in Cooma on October 22nd, where participants will first learn some practical car maintenance in a classroom prior to hands on experience on one of the club cars. This will be followed by a motorkhana event, where participants will learn some car control and get to experience how a car reacts at low speeds. The second event is a Hillclimb at Mt Gladstone in Cooma on Saturday November 25th. Participants will be able to experience car control at higher speeds in a safe controlled environment with an instructor in the car with them until they feel confident enough to have a solo run. Participants may supply their own vehicles, which are only required to meet basic safety standards, or may use one of the several club cars that will be made available. Entry fee for both events is $30, for which they will receive a CAMS L2SJ licence, allowing them to enter any similar events in the following 12 months. Contact us to enter or for further information.